Cubemen is a fast paced and action packed 3D Tower Defense game that mixes TD and RTS genres in the most exciting way possible. 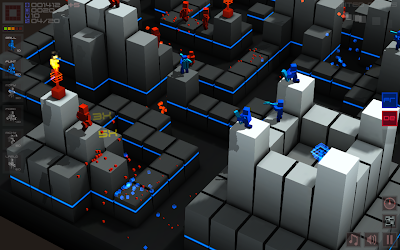 You can play a purely defense game in various modes on a sweet selection of levels, or go into Skirmish mode and play a new type of TD game against either the computer or another human opponent. The game has been made using Unity game engine and it is first Unity game to support Linux after Rochard was released recently through Humble Indie Bundle. The game can be purchased for $4.99 from Ubuntu Software Center.